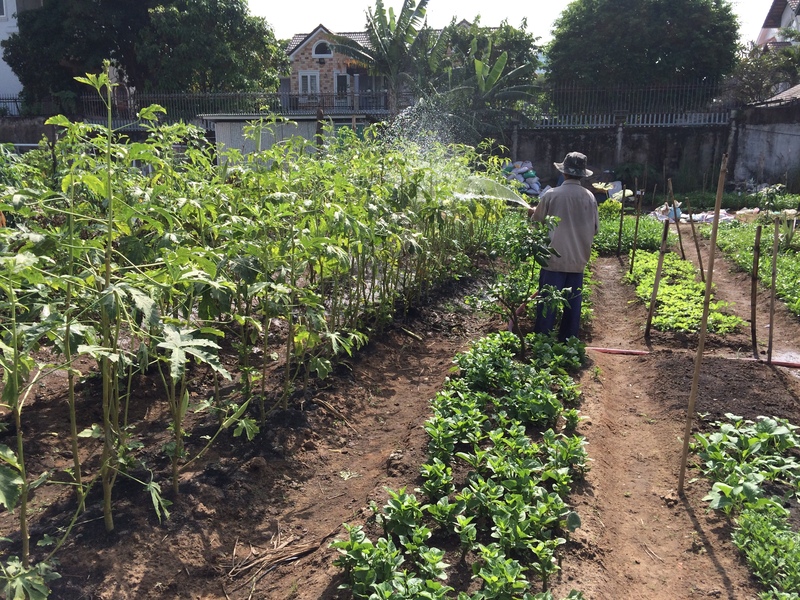 Not until I moved to the South of Vietnam did I hold a strong idea of raising community gardens in cities. But this place is definitely different from Hanoi where I once spent 3 months to ride bicycles around Hanoi to find land for a community garden. One doesnt have to be very critical to realize that the chance for green jobs in Ho Chi Minh city is boundless. Amazingly, all of reasons for the idea of urban gardening to be advocated and implemented are good. Starting a garden in the school, students can joyfully escape from existing boring environment and science lessons. Young learners even start growing curiosity and desire to explore the beauty of interconnectedness: every ecological element, such as soil, water, seed-plant-root, animals in the garden and so on, is a part of bigger systems and determine the way one another works. Children and youth grow physically and mentally from getting their hands dirty at the practical and interactive learning environment – that can alone solve many urban problems like internet addiction or street violence. At the household and community levels, the idea of growing your own food is far more than effective to protect human health, especially when food safety and chemical food poisons are no longer big concerns of housewives only. Imagine what can be better way to strengthen relationships between neighborhood members who share common spaces, planning, resources, labor works and benefits. Moreover, there is no doubt that urban gardens are crucial parts in sustainable urban landscape design. Last but not least, inspiring and creating the entrepreneurship regarding to urban gardening empowers young citizens to draw the way getting out of the non-stopped circle of poverty, unemployment and increasing vulnerability to declined natural resources and climate change. In short, this is a win-win solution: for human and for nature. My question was that once it is this important, in what further term, urban gardening can figure out solutions for other ecological and environmental problems led by unsustainable practices, and at the same time, create new hopes? Systematic collapse such as man-made climate change threatens not only the natural ecosystem but also livelihood of thousands of people. 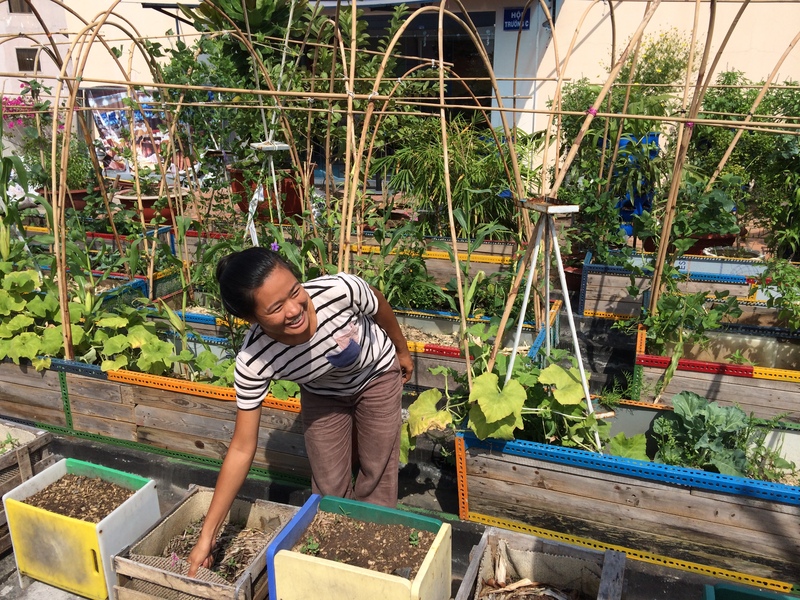 That is the main motivation for me to start a vocational training programme on urban gardening in Ho Chi Minh City, together with Green Youth Collective – a local social enterprise. Through the process of feasibility study, nothing I could use to illustrate personal surprise to see how many local organizations, restaurants and cafeterias, schools had brought gardens into their spaces. (Im growing a journal saving all stories and people I have met working in the area!) That also means there are immense market demands for jobs available in urban gardening. The good news is this trend is nowhere going to stop. 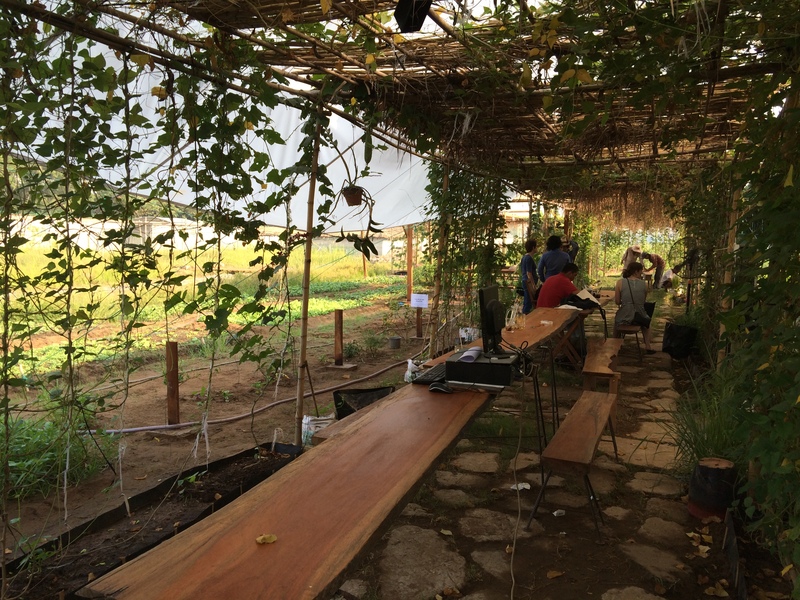 Our plot for the training is located within a system of a big community garden, where youth easily interact with professional farmers and families with parents and kids spending free time to grow, to harvest and to cook right at the garden. The objective is simple: for them to know how to work with ecological elements, and at the same time not forget the idea of a system. This illustrates a picture of sustainability in which the output of a certain production process can be used as the input for one another. 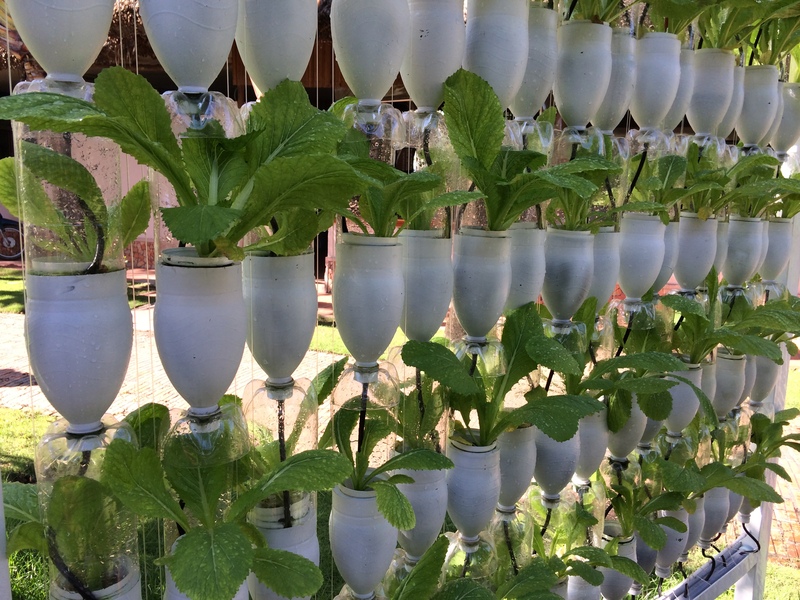 The programme offers many different faces of urban gardens: either its on a wall, or a rooftop, or a hydroponic garden like this with recycled plastic bottles. Half of bottles are white painted, in order to keep nutrient water from sunlight, and to change the way it should look. Sort of great idea, yeah? We have guest speakers who are gardeners and business owners of places like this to come and to conduct interactive sessions with youth. The design of vocational training programme also serves an objective of equipping youth essential skills, knowledge and attitudes to find their own jobs. There are many entrepreneurs who are our partners have already offered internships and jobs for youth! Waste management, composting, plant container building..are also the things we are instructing to youth. From my perspective, this is a great way to learn how to live within the limits: when you can not exploit more, you learn how to use available resources in different purposes. Works can be creative and fun! This start-up belongs to the range of what I belive and work for sustainability literacy. Urban gardening is a beautiful and powerful example of community empowerment, initiating sustainable practices towards resilience to change. For further information, please contact My Hanh, Project Manager at hanh@greenyouthcollective.org. 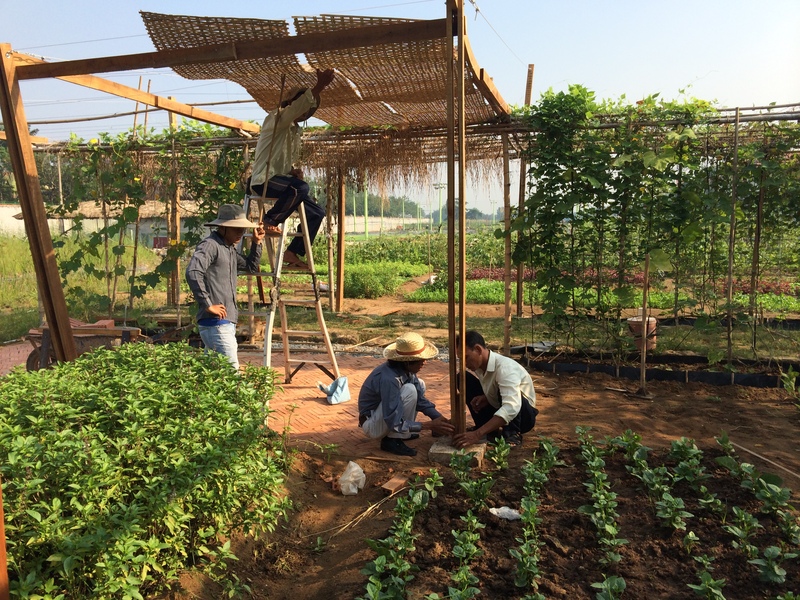 Stoney (Hanh.Vu) promotes sustainability literacy practices to flourish at small scale and in as many places as possible. She also writes, rides bicycle, sings, dances, teaches and now learns to do gardening. This entry was posted in Children, English / Tiếng Anh, Urban resilience. Bookmark the permalink.